Maitre'D can help you streamline your operations, whether you're running a bar, a dining room, or a take-out counter. Maitre'd is great for running multiple sites or locations due to the broadcast functionality and ability to setup a central server. The simplicity of the user interface keeps training simple and allows us to push guests through line and orders to the kitchen quickly. The API also allows us to push other information through to the printers, not just orders being processed by the registers. The biggest issue with Maitre'd for us is that it relies on an old model of operation and does not support cloud servers. By having to install a localized server in each location, it not only adds to our install expenses, but it creates an additional point of failure. Also, it does not allow for us to use global accounts so we find ourselves creating new usernames and passwords at every single one of our sites. Much of the support comes from Resellers so be sure to choose a reseller who is willing to meet all your needs. Posera (Maitre'd) is HQ'd out of Montreal so support hours are very limited unless your business is based on the East Coast. As far as POS systems go, Maitred gets the job done and allows us to manage our menus, inventory, and most importantly, sell our products. It is simple, easy to use, and for the most part runs problem free. The issues we do encounter are either simply annoyances or created by user error. "Thai Rock's Experience with Maitre'D POS"
I'd like to see bulk editing capabilities. Mechanisms to change or set prices or printers across a large portion of items in a streamlined manner. Bulk changes are tedious. I'd also like to assign printers on the fly. We are a full service restaurant with an active bar and night life. We need a POS system to handle restaurant and bar services along with a healthy take out and delivery component. Maitre'D has helped us efficiently handle the order taking and fulfillment processes reliably and dependably. Support is always available and the service has met our changing needs. "Server who now works in tech." Features such as splitting and labelling a bill are very useful. Though this is possible in Maitre'D it is not easy or intuitive. When a bill is split, if one party member wishes to pay you must open their portion of the bill, NOT the table with all bills. If you add payment from the table you cannot leave the bill until payments have been added to all bills on the table. This is awful. Every new server makes this mistake, it takes a long time to sort out, usually with a manager and holds up other servers needing to use the POS system. Keep on top of updates, hopefully bugs will be solved in future. This software is VERY useful and comprehensive for restaurant industry. As a server I was not in charger of back end POS or solving business problems. "Easy to use POS with great reporting"
Very easy to set up. Employees can use it easily. I can access loads of information with their reporting. It is hard to find the right report. There a lot of options for each report which can time some time to find the sale info I needed. Helps take payment from customers. The reports are great. Labor reports, discount summary reports, sales reports, items reports. Pretty much any report you can think of, you got it. * Setting up new buttons and transferring them to screens is not easy. No problem solving, just trying to run a restaurant. I haven't seen any benefits of this system over Aloha from previous restaurants. Aloha was easier for programming POS, user POS, payment POS, setting up new employees and their functions, printing to kitchen / bar. "Maitre'D is a useful tool for restaurants with its advantages and disadvantages." It had a very simple layout and I also enjoyed its number tracking features. I disliked the amount of steps it would take to get to certain manager functions. Time is crucial in the restaurant industry so I would have liked to get to these features in the quickest possible fashion. It has full capabilities and can allow private access for management only through a swipe card. The business problem being solved is time management. 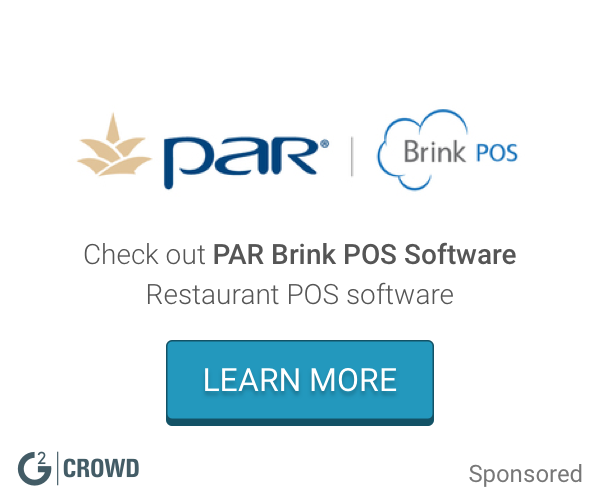 A POS system for restaurants is time efficient and effective. "Complex POS System and Tedious Functionality "
All functionality, specifically running workstation data after making a specific change in the system and having to refresh all of the registers in order for changes to take effect. The benefits are cashiers taking orders and the system calculates per day transactions and end of day processes. It allows us to inventory products in the system and ensure it is visible to store employees. You could adjust tips after a card had been swiped. Very convenient!! I've worked with other programs that don't allow that and it's this huge ordeal to get fixed for a simple error. Can't think of anything... It's been a while since I've used it. Functionality. Efficiency. Easy to learn. * We monitor all Maitre'D reviews to prevent fraudulent reviews and keep review quality high. We do not post reviews by company employees or direct competitors. Validated reviews require the user to submit a screenshot of the product containing their user ID, in order to verify a user is an actual user of the product. Hi there! Are you looking to implement a solution like Maitre'D?